After some wonderful days and nights between Christmas and New Year, (when, of course I was away from Auckland! 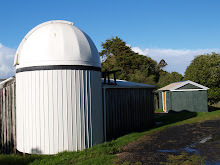 ), the rain has been falling pretty much non-stop - not to great for observing, but a perfect opportunity to get a few things done that have been on the list for a while. First order of business was getting the USB interface board for the dome rotation system. This has up to now been screwed to the wall inside the dome, but with the issue being unprotcted and that its location was right below the dome home position. Whilst we've been working, a number of times we've opened the dome and has mosture drip perilously close to the board. 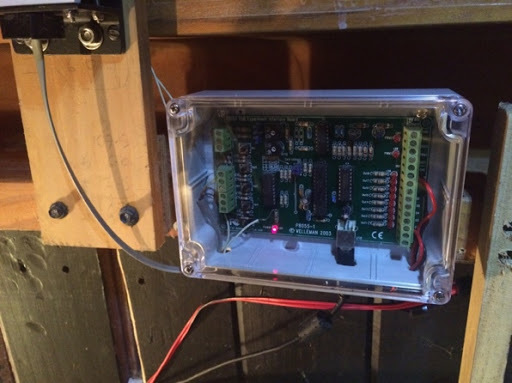 Installing the plastic enclosure took a little longer than expected, but the board should now be protected from and water or moisture from above and be a little more immune to spiders and dust. 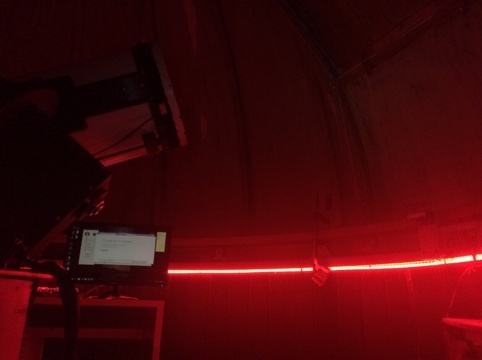 With that complete, next step was to install the new red LED strip lighting around the dome. The old dome lighting was too dim with the red bulbs in when working in the dome, and inconvenient to adjust brightness or turn on/off (as the switch is downstairs). We switched out the bulbs for white bulbs making it easier when we are working (not imaging!) but also bought some red LED lighting with an RF remote to adjust brightness and/or turn on and off. 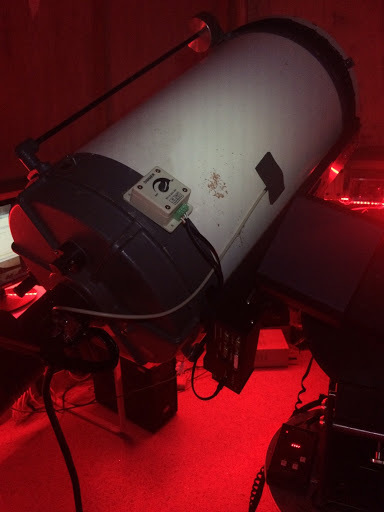 The new lighting is much more controllable and convenient, and hopefully makes life much easier whilst imaging in the dome.